Based on my latest experience during South by Southwest I want to share apps that enhanced my experience and that I will be using for Hispanicize. In my opinion these 10 apps might be helpful if you have them on hand before you get to Hispanicize. 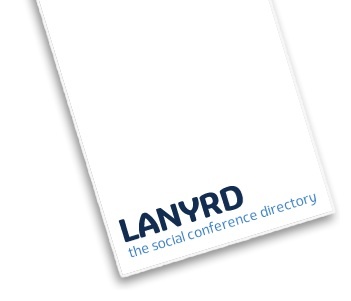 Lanyrd will allow you to see who is speaking or attending a conference or event by using your twitter contacts. It facilitates in identifying your online contacts and helping with the opportunity to meet up at an event as long as that contact has registered on the application as attending or speaking. You can also use this app during the conference to stay up to date on what is happening. If you are attending and want to see those that are speaking or attending take a look. lanyrd.com/2011/hispanicizeconference. Foursquare is a great application for letting people know where you are located. In a conference it can also serve as a tool to finally meet people you interact with online, meet your Foursquare friends, win badges, and more importantly learn about offers and specials from local business around the venue. (e.g. best deals on places to eat, drink specials, or stay). Keep your contacts on fourquare and where you linked it to (e.g. Facebook and/or Twitter) up to date on your whereabouts. Gowalla is full of fun things to do and it is practical. I really like that it also Syncs with Foursquare so you can update both . Challenges are given to you depending on the location with the opportunity to pick up items. It’s huge practicality is as a navigation device on your phone to get from point a to point b. Keep an eye out for tips left by other users on what to do and where to go. Beluga pods is a private way to stay in touch online. Works with accessing the app with any phone or browser. Very similar to the Blackberry Messenger but with more capability and not limited to one type of device. Perfect for spontaneous plans while helping you keep up with all your different circles. Real time alerts using iphone push notifications. I have been using it for many things and to definitely keep in touch with everyone even on my day to day. Hootsuite will give you the opportunity to monitor lists to stay up to date on what people are doing. Allows you to search by hashtag (conference) from people that are at a 10 or 5 mile radius. By limiting your search to those that are around you and it helps connecting you with new people. Hashable is a fun and useful way to track your relationships and quickly keep track of people you met and where you met them by sending them your virtual business card. If You ran out of business cards or forgot them this is one app that will get solve your problem. Bump™ makes sharing with people as simple as bumping two phones together. Just pick what you want to send, then hold your phones and gently bump hands with another Bump user. And now, you can message with your friends who aren’t near you — just add them as a friend inside of Bump and start messaging immediately. Instagram allowes you to take pics and share them via twitter, facebook, tumblr, flickr, and posterous. Post as many photos as you want. Provides artistic filters to apply to your photos. Ability to check into foursquare when you post photo from a location. Liveshare Start a photostream for any occasion and invite friends to share photos. Watch everyone photos flow in real-time. Did I miss any of your favorite apps? Feel free to share in the comments area? This is a great resource Raul!